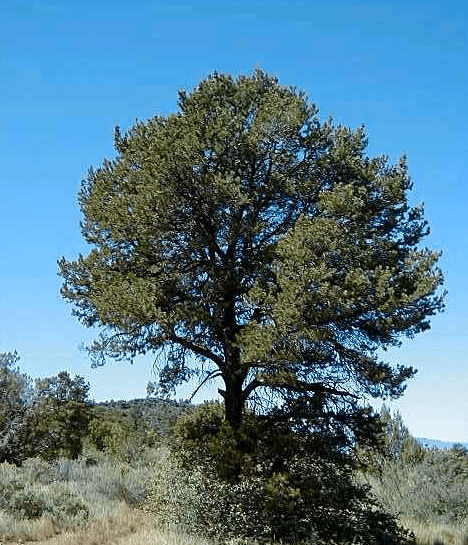 Henry Adams, a PhD student at the University of Arizona, is studying the effect of climate change and drought on Piñon Pines in the university’s Biosphere 2 lab (see part 1). 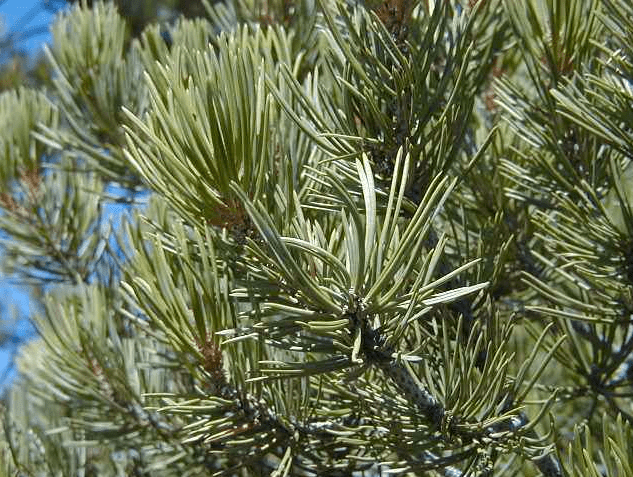 This week, find out how the researchers made comparisons at leaf level, transplanted the trees, and future implications for the Piñon Pine. In Germany, scientists are measuring the effects of tomorrow’s climate change with a vast network of 144 large lysimeters (see part 1). This week, read about the intense precision required to move the soil-filled lysimeters, how problems are prevented, and how the data is used by scientists worldwide. As noted previously, one TERENO lysimeter weighs between 2.5 and 3.5 tons depending on the soil and the water saturation, so the problem of transporting it without compacting the soil or causing cracks in the soil column caused Georg many sleepless nights. He explains, “We found a truck with an air venting system, which could prevent vibrations in a wide range. We made a wooden support structure, bought 100 car springs, and loaded the lysimeter on this frame. After some careful preparation and design adjustments, I told the truck driver, ‘take care, I’m recording the entire drive with my acceleration sensor and data logger so I can see if you are driving faster than I allow.” Each lysimeter soil surface level was marked to check if the lysimeter was rendered useless due to transport, and the truck was not allowed to go over a railway or a bump in the road faster than 2 km per hour to avoid the consequences of compaction and cracking. Tensiometers and soil moisture sensors monitor the hydraulic conditions inside the lysimeters. What Happens With the Data? Georg hopes that many researchers will take advantage of the TERENO lysimeter network data (about 4,000 parameters stored near-continuously on a web server). He says, “Researchers have free access to the data and can publish it. It’s wonderful because it’s not only the biggest project of its kind, each site is well-maintained, and all measurements are made with the same equipment, so you can compare all the data.” (Contact Dr. Thomas Puetz for access). Right now, over 400 researchers are working with those data, which has been used in over 200 papers. Lysimeter plant with CO2 fumigation facility in Austria. Read about 12 large Ecotron weighing lysimeters measuring climate change at the University of Hasselt. In Germany, scientists are measuring the effects of tomorrow’s climate change with a vast network of 144 large lysimeters. The goal of these lysimeters is to measure energy balance, water flux and nutrition transport, emission of greenhouse gases, biodiversity, and solute leaching into the groundwater. 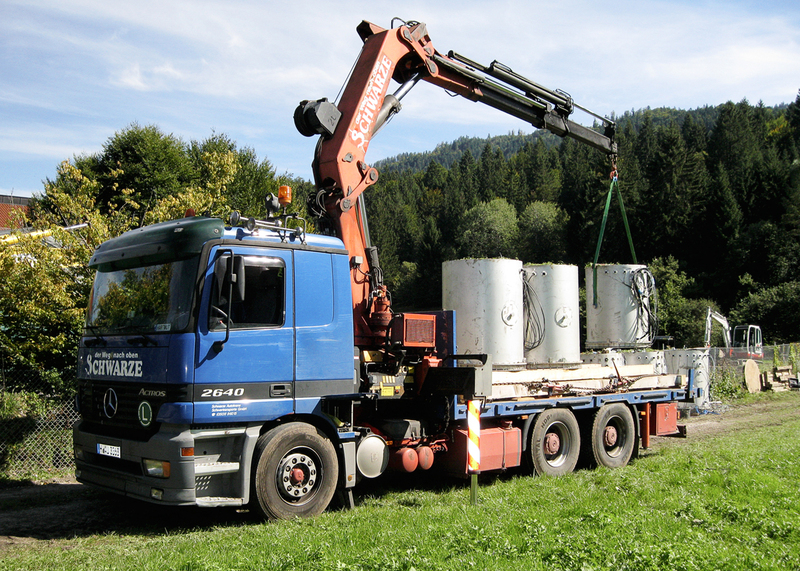 In 2008, the Karlsruhe Institute of Technology began to develop a climate feedback monitoring strategy at the Ammer catchment in Southern Bavaria. 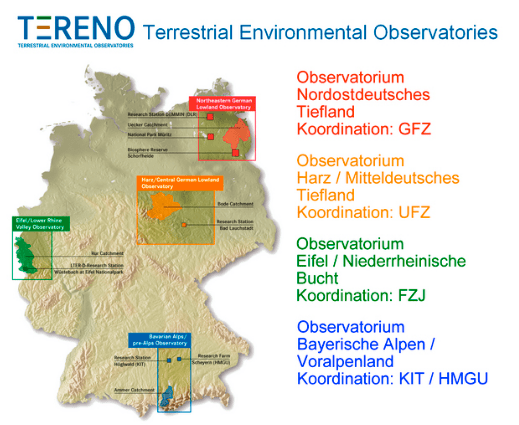 In 2009, the Research Centre Juelich Institute of Agrosphere, in partnership with the Helmholtz-Network TERENO (Terrestrial Environmental Observatories) began conducting experiments in an expanded approach. 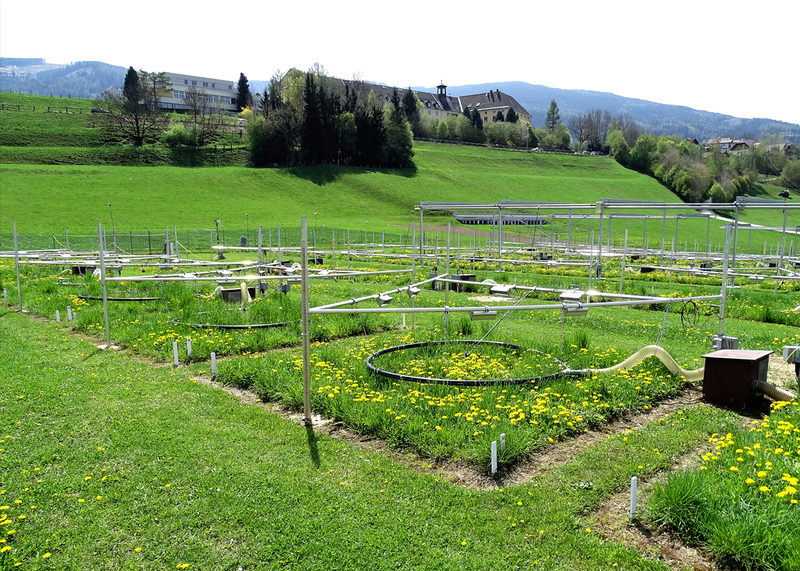 Throughout Germany, they set up a network of 144 large lysimeters with soil columns from various climatic conditions at sites where climate change may have the largest impact. 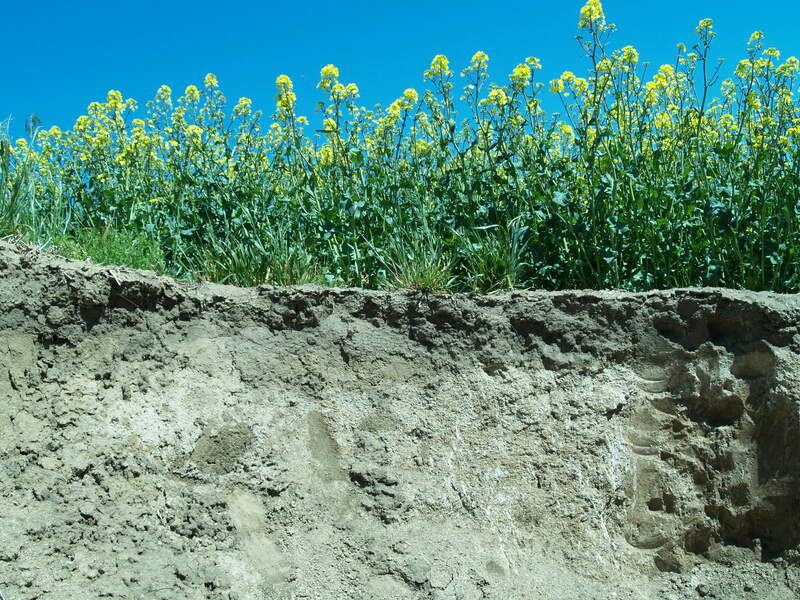 In order to directly observe the effects of simulated climate change, soil columns were taken from higher altitudes with lower temperatures to sites at a lower altitude with higher temperatures and vice versa. Extreme events such as heavy rain or intense drought were also experimentally simulated. How Big Are the Lysimeters? Researchers use water content sensors and tensiometers to monitor hydraulic conditions inside the lysimeters. Next week: Read about the intense precision required to move the soil-filled lysimeters, how problems are prevented, and how the data is used by scientists worldwide. In Haiti, untreated human waste contaminating urban areas and water sources has led to widespread waterborne illness. Waterborne disease is the leading cause of death for children under 5. 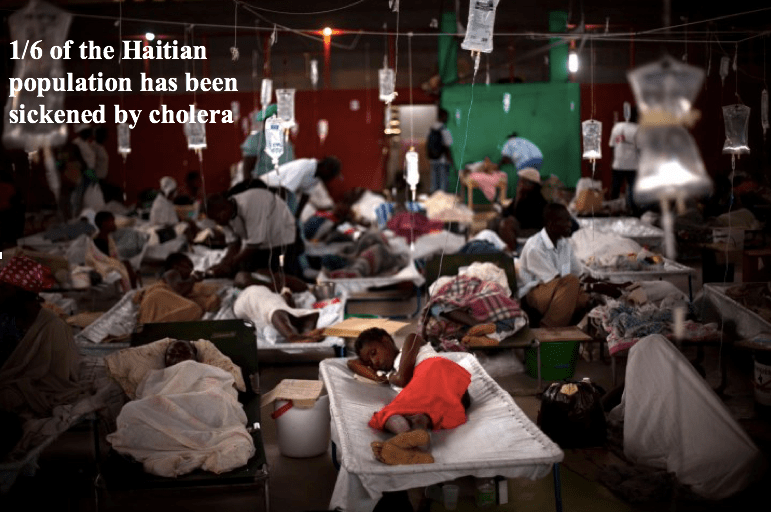 Currently, Haiti is battling the largest cholera outbreak in recent history. Over 1/6 of the population is sickened to date. 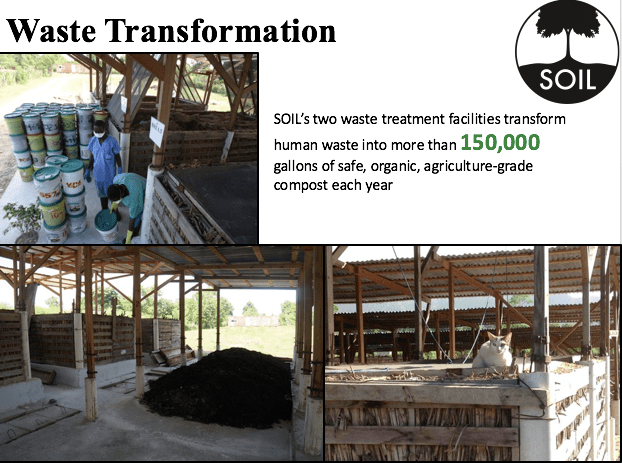 Sustainable Organic Integrated Livelihoods (SOIL) has been working to turn human waste into a resource for nutrient management by turning solid waste into compost. (See part 1). Contaminants making their way into the waterways. 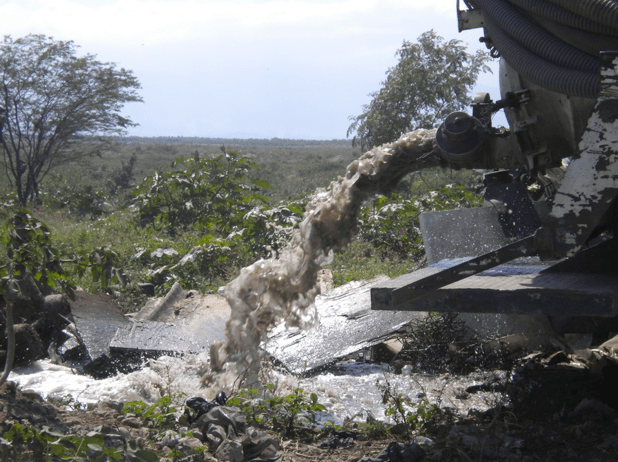 The organization plans on performing experiments with lysimeters, to determine if human waste will contaminate Haitian soil during the composting process. Even in places where there are toilets, they are often poorly designed or poorly placed. 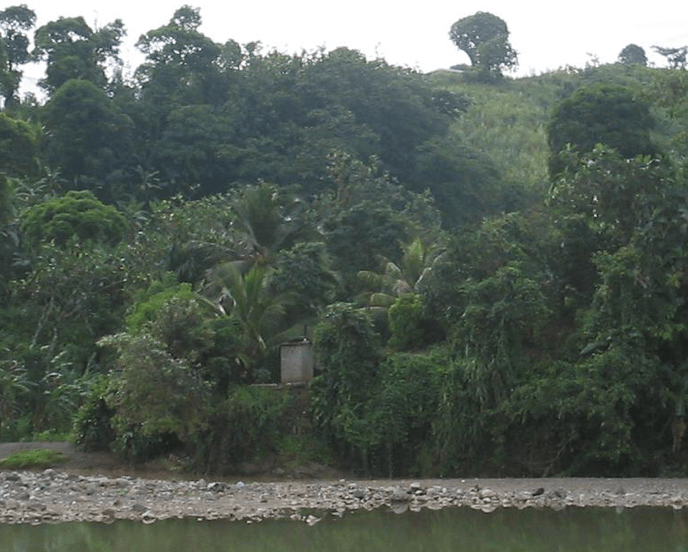 This latrine is located just above a river, where people are getting their bathing and drinking water. 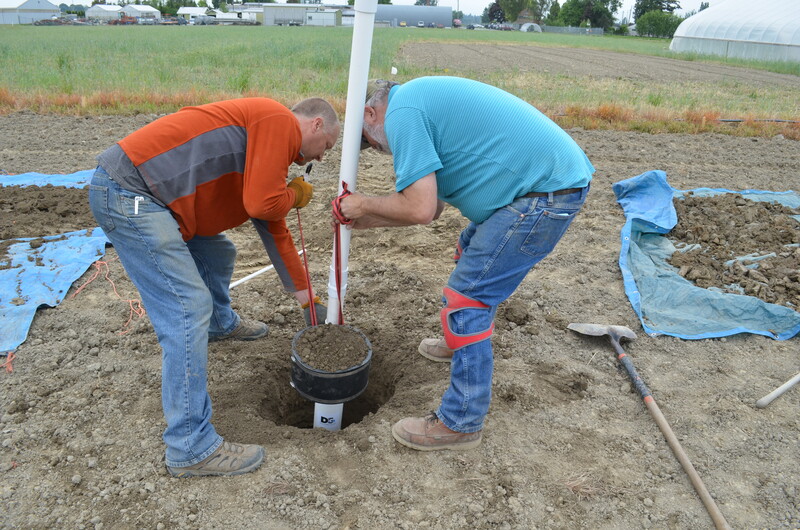 SOIL will use passive capillary lysimeters in an upcoming experiment to determine if composting human waste without a barrier between the waste and the soil will result in ecological and/or health hazards. Why? 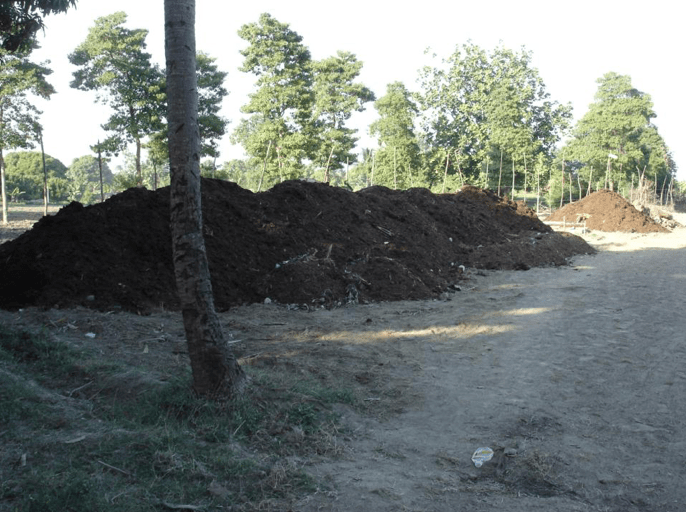 The problem is “jikaka,” or “poo juice.” The compost facility currently redistributes it onto the compost and finishing piles, but they would rather not have to manage it. They believe if they remove the concrete slab and allow composting to occur in contact with soil, the composting process will be easier and faster. SOIL’s agricultural team conducts studies on the use of compost to improve farming practices and maximize economic benefits of targeted compost application. The organization will test their idea as they expand their facility. New compost bins and staging areas for finishing have been built absent concrete pads. Passive capillary lysimeters have been installed, three beneath the compost bin, and four beneath the first staging area for finishing. They will be used to monitor the amount of moisture (jikaka) that travels through the soil as well as check for anything harmful that travels with it. SOIL’s human waste compost was found to increase sorghum yields by 400%. What’s the Future for Konpòs Lakay? SOIL’s agricultural team studies the use of their compost (Konpòs Lakay) in order to optimize farming practices and the economic benefits of targeted compost application. The data they collect will help them expand the market for Konpòs Lakay, which in turn will support the sustainability of SOIL’s sanitation programs. For more information on SOIL’s waste treatment efforts, visit their website, or watch the video below, a TEDx talk given by SOIL co-founder, Sasha Kramer. 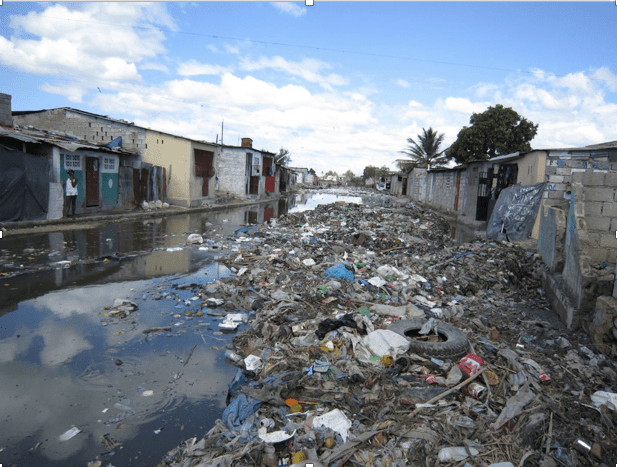 In Haiti, untreated human waste contaminating urban areas and water sources has led to widespread waterborne illnesses such as typhoid, cholera, and chronic diarrhea. 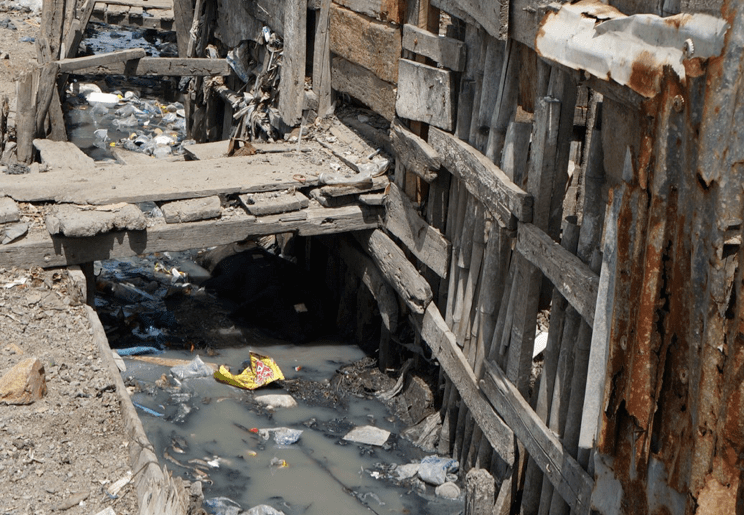 Human wastes are making their way into Haiti’s waterways. Sustainable Organic Integrated Livelihoods (SOIL) has been working since 2006 to shift human waste as a threat to public health and source of pollution to being a resource for nutrient management by turning solid waste into compost. 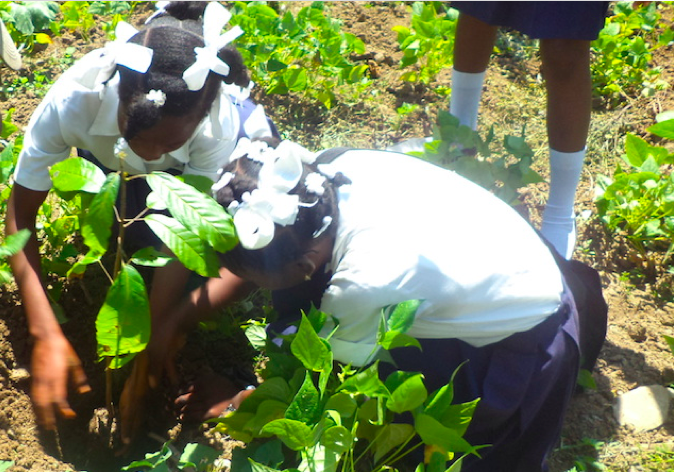 This effort has been critical to sustainable agriculture and reforestation efforts, as topsoil in Haiti has severely eroded over time, contributing to Haiti’s extreme poverty and malnutrition. This is a very famous image of the border between Haiti and the Dominican Republic. It’s often used to demonstrate how badly off Haiti is relative to their neighbors. What you’re actually seeing is the environmental scars of a very different post-colonial history. 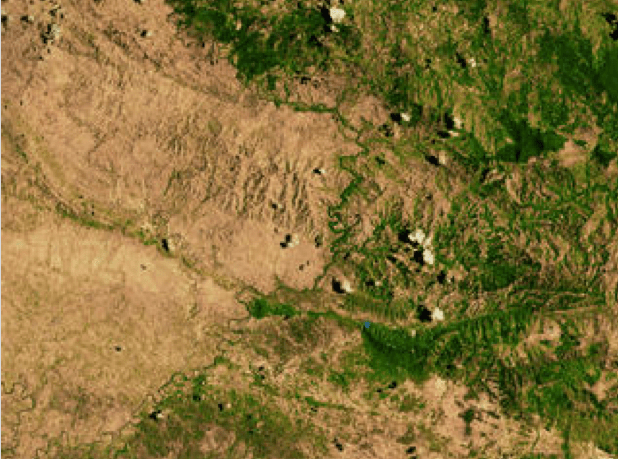 Topsoil erosion in Haiti was estimated to be 36.6 million metric tons annually in 1990, and it is estimated that only one sixth of the land currently cultivated in Haiti is suitable for agriculture. SOIL combats desertification by producing over 100,000 gallons of agricultural-grade compost made from human waste annually. 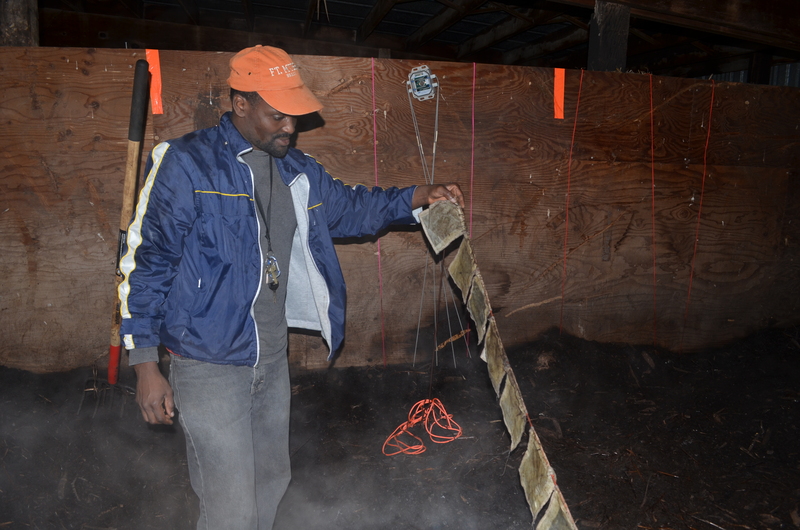 SOIL research has shown that this compost can increase crop yields by up to 400%. The organization has sold over 60,000 gallons of this compost to local farmers and organizations, increasing soil organic matter and nutrients throughout the country. Today in Haiti, only 25% of people have access to a toilet – meaning people are forced to go to the bathroom outside or in urban areas, in a plastic bag, which often times gets disposed of in a canal or an empty lot. SOIL distributes specially constructed toilets throughout Haiti that separate urine from solid waste. Odors are reduced by covering the solid waste with organic cover material. 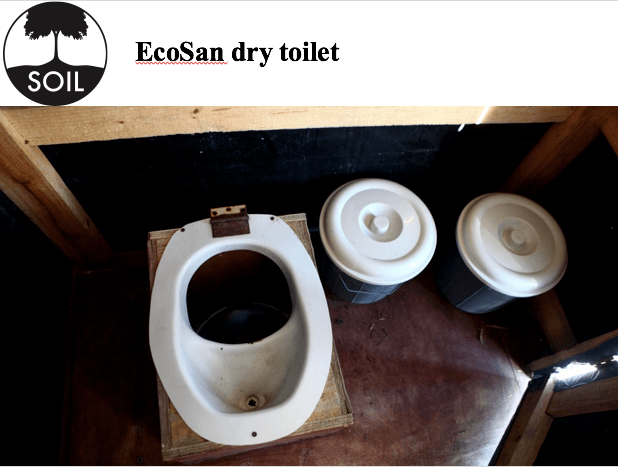 The toilet utilizes a five gallon bucket to collect solid waste that can be swapped out when full. Instead of flushing nutrients away with fresh water, people use a dry carbon material to cover it up so that it doesn’t smell, and it doesn’t attract flies. This material also provides food for the microbes that will ultimately transform the poop. The five gallon buckets are collected weekly and taken to the composting facility, where they are dumped into large composting bins. It takes about 1500 buckets (3-4 days worth) to fill each bin. Bins are required to reach 122°F and left for 2.5 months in order to kill all pathogens. Wastes are safely transformed into nutrient-rich compost in a carefully monitored composting treatment process that exceeds the World Heath Organization’s standards for the safe treatment of human waste. The compost is then removed from the bin and turned by hand. There are three concrete slabs used to manage the finishing process. Compost is turned horizontally and then moved forward to the next slab, allowing multiple batches to be finishing at the same time, each at a different stage. 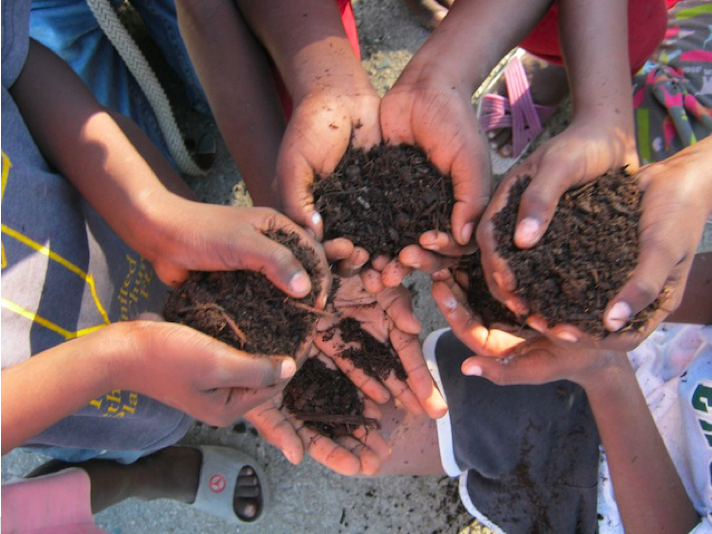 After processing, the compost is sifted, bagged, and sold, reinvigorating the agriculturally-based Haitian economy. The compost SOIL produces is bagged under the Haitian Creole brand name “Konpòs Lakay” and then sold for agricultural application, improving both the fertility and water retention of soil. With over four billion people worldwide currently lacking access to waste treatment services, finding ways to provide waste treatment services profitability through the private sector has the potential to dramatically improve public health and agricultural outputs globally. Watch this 5 minute video filmed by independent parties to see how SOIL is impacting Haitian citizens and the environment. Next week: Read how experiments using lysimeters will help SOIL make the composting process more efficient. In a continuation of last week’s post, Henry Sintim, PhD student at Washington State University is investigating whether biodegradable mulches are, in fact, what they claim to be (see part I). Lysimeter readings revealed higher EC measurements. If the team finds that some of the BDMs do not biodegrade very well in the field, the alternative could be on-farm composting, which would be more viable than having to deal with polyethylene plastic. Sintim and his research team have set up a composting study where they have been digitizing the images of the mulches degrading. He adds, “We buried the mulches in a mesh bag, and periodically we retrieve the bags to study the mulch. There was some black staining on the mesh bag, which we suspect is a nanoparticle called, “carbon black,” used as reinforcing filler in tires and other rubber products. The team buried the mulches in compost, and periodically they retrieve the mesh bags to study the mulch. Sintim says the manufacturers do not disclose the actual constituents of their mulches, so he has arranged to examine the mesh bags with WSU’s scanning electron microscope in order to confirm that the stains were due to the presence of particulates. Sintim confirmed that carbon black was used in their experimental BDM, but they don’t know whether the carbon black was made from petroleum products, as there is non-petroleum-based carbon black. He is going to determine whether these particles leach through soil by examining leachate samples from the lysimeter. He will also perform more tests to make sure that these nanoparticles are not going to have any adverse effects on the agro-ecosystem. While Sintim and his colleagues have made important discoveries, there is still work to be done. He and his team are going to collect three more years’ worth of data to see if there really is a BDM that delivers on its promises and if leaching particles pose a threat to the groundwater. Are Biodegradable Mulches Actually Better for the Environment? Henry Sintim, PhD student at Washington State University, is investigating whether biodegradable mulches are, in fact, what they claim to be. Application of plastic mulches conserves water, and helps in weed, pest, and disease control. 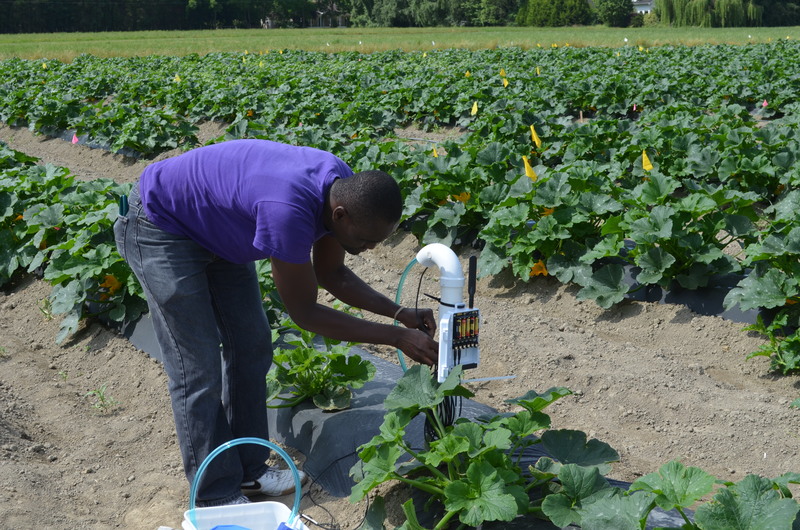 He and his research team want to understand what leaches into the soil as the mulches degrade and which ones perform as well as polyethylene-made plastic mulches (PEs) at weed, pest, and disease control. 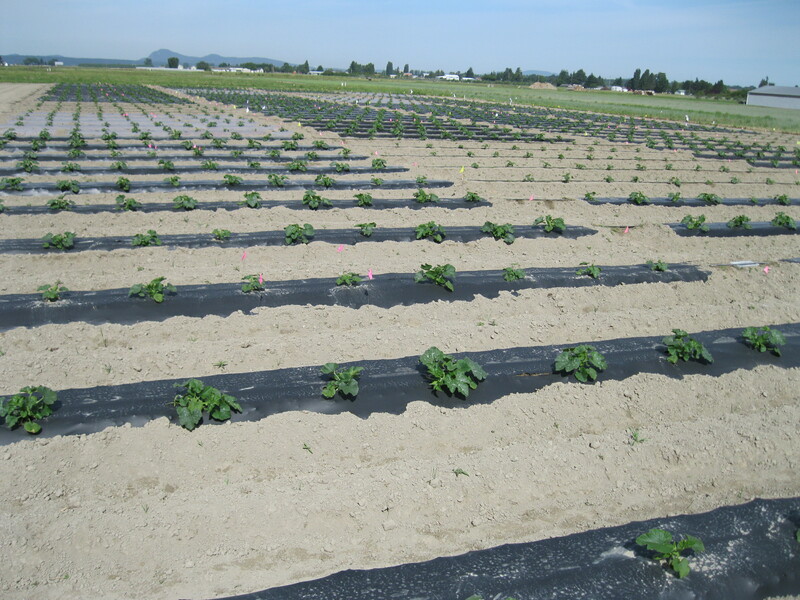 Application of plastic mulches in agriculture is a common practice by specialty crop producers worldwide. It conserves water, and helps in weed, pest, and disease control, subsequently improving crop yield and quality. Because PE is durable and does not degrade in the soil, you cannot leave it in the field, which ultimately leads to the question of disposal. When PE is buried in the field, it becomes contaminated with soil and can’t be recycled but instead requires transport to a landfill, increasing production costs. Another problem arises when landfill facilities are not available. When this is the case, growers stockpile PE on their farm, where the rain can wash the mulch down to streams and water bodies. Henry Sintim and his team are investigating whether or not biodegradable plastic mulches (BDMs) could be a viable alternative. The team installs a lysimeter beneath the mulches. Sintim is monitoring the degradation of BDM by assessing the material properties and measuring the particle size and surface area via photography: digitizing and analyzing them using Image J software. There are indications that some of the BDMs are performing well. How Well Do the Mulches Compare? Sintim also wants to find out how well BDMs maintain microclimate in comparison to PE. 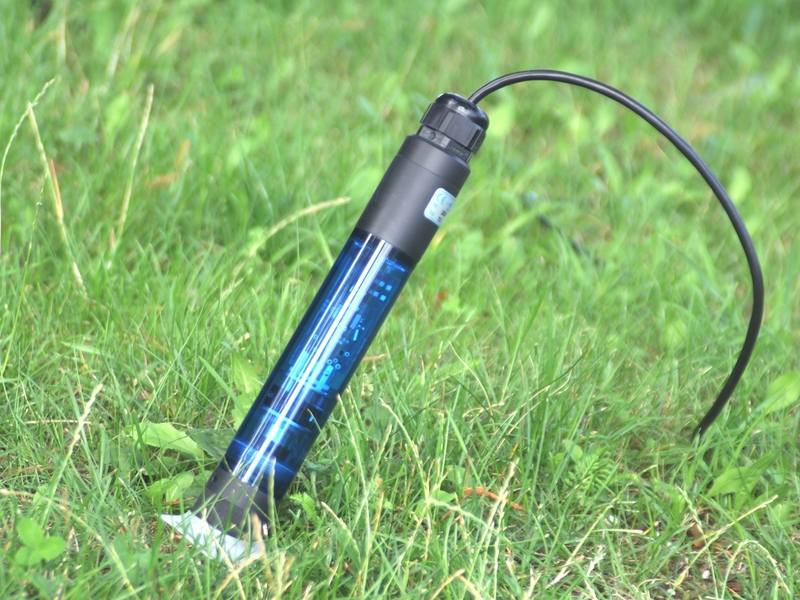 Since soil temperature and moisture content are important parameters that govern chemical reaction rates and microbial activity, and are likely to vary among the different BDM treatments, he is monitoring soil moisture dynamics using soil moisture and temperature sensors installed at 10 cm and 20 cm depths. 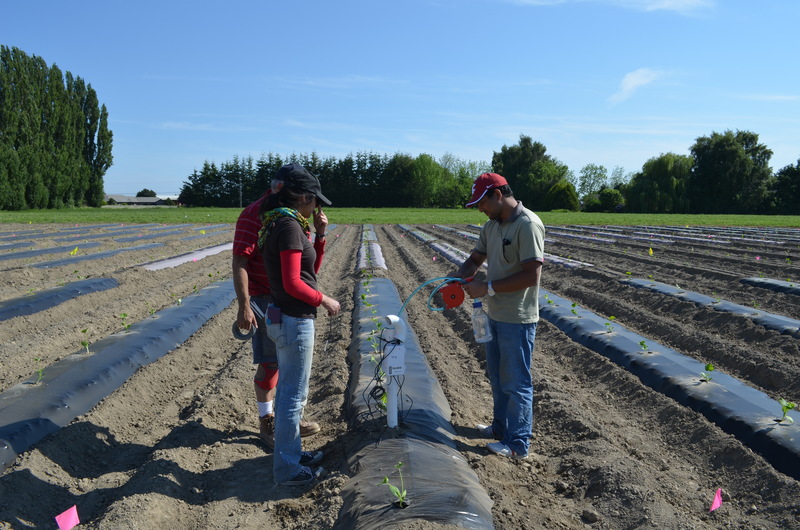 In addition, the team has installed sensors directly underneath the mulches to measure surface temperature and light penetration. Reduction of light penetration is the attribute that helps plastic mulches to control weeds. The team is also assessing soil quality using the USDA Soil Quality Test Kit. Next week: Find out how Sintim will determine what’s leaching into the soil and another alternative for polyethylene plastic mulch. Due to controversy over the growing number of high capacity wells in the Wisconsin Central Sands, University of Wisconsin PhD student, Mallika Nocco, is researching how agricultural land use, irrigation, and climate change impact the region’s water-energy balance (see part I). This week, read about her challenges installing lysimeters below the root zone, how she used a GPS system that can find the lysimeters within a half-inch of accuracy, and her surprising conclusions. This relatively small ecological region has gone from 60 high capacity wells in 1960 to over 2,500 today. Nocco was concerned that they would prejudice their data due to the donut effect of center pivot irrigation. Eventually, Nocco plans to use field-generated estimates of groundwater recharge and ET to parameterize and validate a dynamic, agroecosystem model, Agro-IBIS, simulating hydrological responses to climate and land use changes over the past 60 years. Nocco will then share the water-energy budgets and water quantity/climate simulations with stakeholders in the Wisconsin Central Sands area. Due to controversy over the growing number of high capacity wells in the Wisconsin Central Sands, University of Wisconsin PhD student, Mallika Nocco, is researching how agricultural land use, irrigation, and climate change impact the region’s water-energy balance. She and her team have uncovered some surprising results. A class 1 trout stream has sufficient natural reproduction to sustain populations of wild trout at or near carry capacity. There are class 1 trout streams in the Central Sands region, and some people worry that the increasing number of high capacity wells used for agriculture will reduce the water levels in those streams. “Lake Huron has lost about 11 feet of water since 2000,” says one resident of the Central Sands area, “and water levels are continuing to drop.” In 2008, the small well he used to pump drinking water went dry, and he blames the high capacity wells.” (Aljazeera America) On the other side of the debate, agriculture irrigated by these wells is extremely valuable to the state, and growers have taken quite a bit of time to understand the water cycle and their role in it. 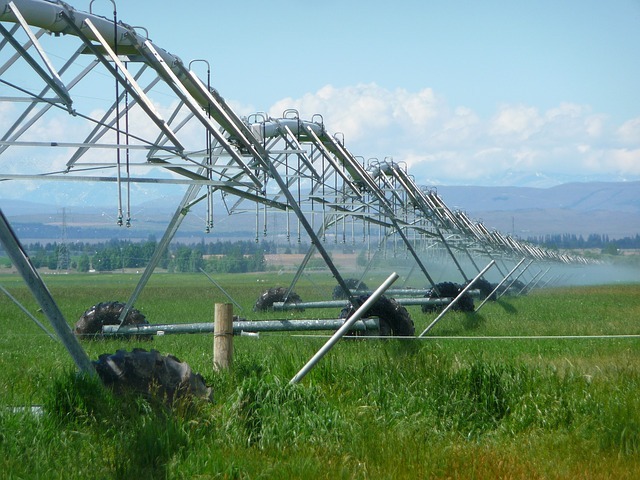 You can read about their water management goals and accomplishments here. 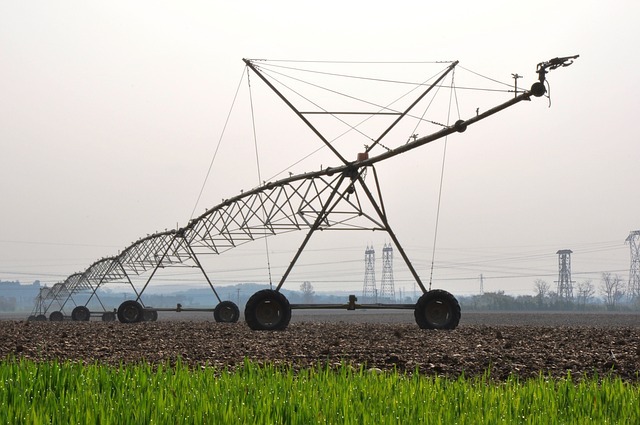 Irrigated agriculture wasn’t prevalent or profitable in the Wisconsin Central Sands until groundwater irrigation with high capacity wells became feasible in the 1950s. 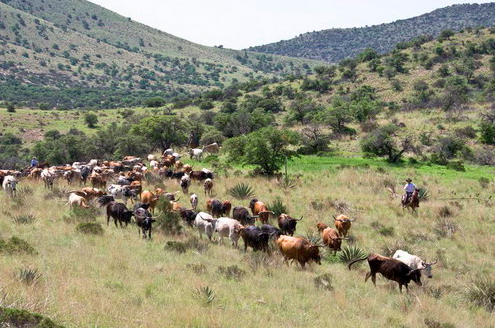 Since then, this relatively small ecological region has gone from 60 high capacity wells in 1960 to over 2,500 today. 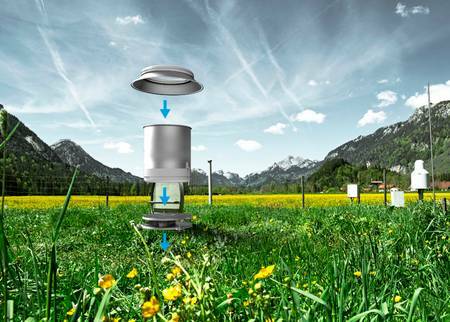 Lysimeter installation into actively managed fields presented challenges that the research team had to overcome. Nocco used twenty-five drain gauge lysimeters to capture vadose zone flux under potato and maize cropping systems. She monitored soil water (and temperature) flux by stratifying water content sensors from the soil surface to a depth of 1.4 meters. She also estimated evapotranspiration (ET) using a porometer to measure stomatal conductance, in addition to obtaining micrometeorology, leaf area index, and gas exchange measurements. Nocco and her team had to put their sensors in to avoid cultivation, so they extended the drain gauge PVC that comes up to the soil surface and removed it any time there was major fieldwork, whether it was tillage or planting, so that the area over the lysimeter got the same treatment as the rest of the agricultural fields. Nocco says getting the lysimeters below the root zone was a challenge. 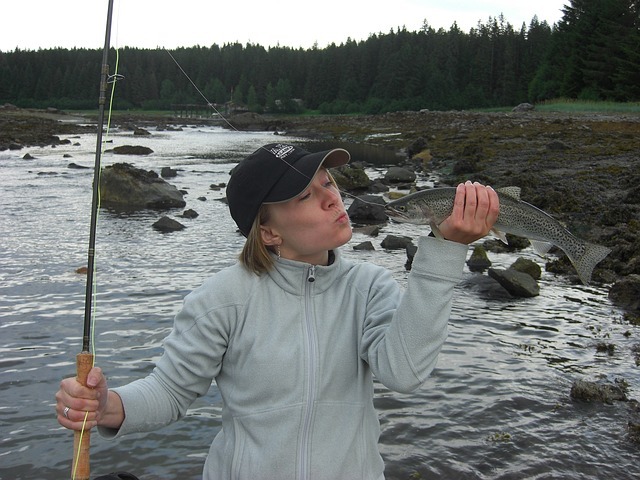 Next week, read about how she solved that challenge, how she used a GPS system to find the lysimeters within a half-inch of accuracy, and about her surprising conclusions. 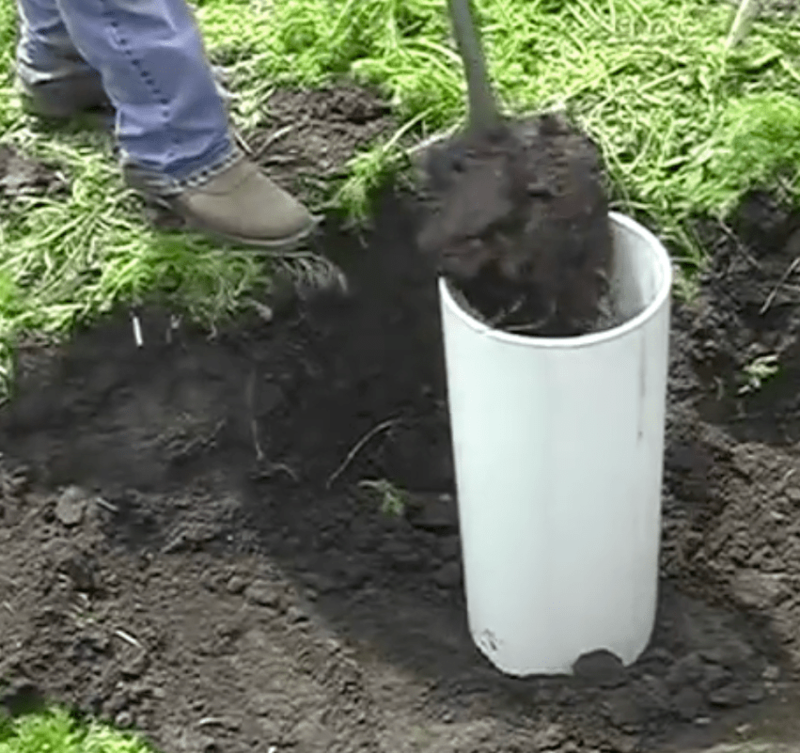 Understanding the amount of drainage that comes out of the bottom of the root zone and infiltrates into groundwater recharge is a very difficult measurement to do well. Drain gauges do a good job of it but on a small scale. Large lysimeters do an even better job, but are extremely expensive and complex. There is an economical alternative, however, called the salt balance approach to measuring drainage. Since the majority of non-fertilizer salts in the soil solution don’t get taken up by plants, this salt can be used in soil as a conservative tracer. This means that whatever salt is applied to the soil through rainfall or irrigation water is either stored in the soil or leaches through the profile with the soil water, enabling us to use conservation of mass in our salt balance analysis. The electrical conductivity of water (ECw) is directly proportional to the salt concentration, so ECw can be used in place of salt concentration in this analysis. If you measure the EC of the water that’s applied to the soil, either through irrigation or precipitation, as well as the EC of the water that’s coming out of the bottom of your profile, then you can calculate what fraction of the applied water is being transpired by the plants, and what fraction is draining out of the bottom. This method is useful for measuring water balance at field sites. One challenge to this approach is the measurement of water electrical conductivity itself. 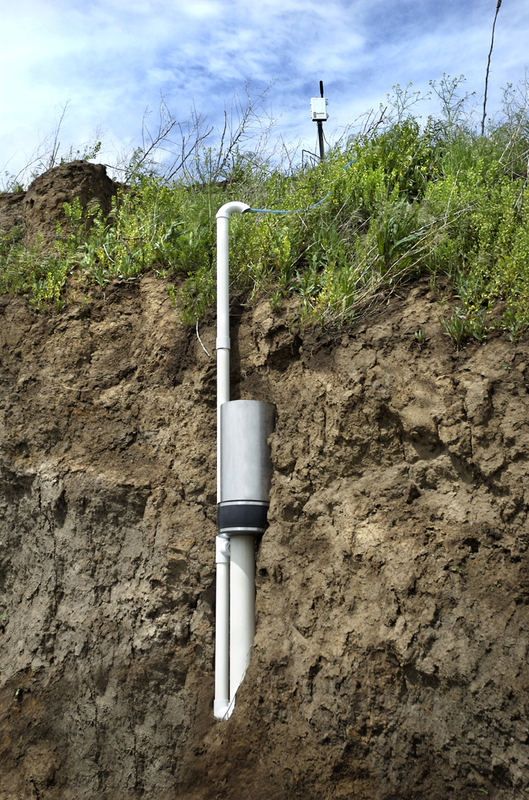 Bulk EC is a relatively simple measurement, and several types of soil water content sensors measure it as a basic sensor output. However, the electrical conductivity of water, called pore water EC (ECw), is more complex. Pore water EC requires that it be either estimated from the bulk EC and soil water content or that a sample of pore water be pulled from the soil matrix and measured. When estimated, pore water EC can contain considerable error. In addition, removing a water sample and measuring the pore water EC is not easy. To learn more about measuring EC, read our EC app guide. Do the Standards for Field Capacity and Permanent Wilting Point Need to Be Reexamined? Why does my soil moisture sensor read negative? Copyright © 2019 Decagon Devices, Inc.. All rights reserved.